Hibernian Hall, a National Historic Landmark, was built in 1840 to provide a meeting place for the Hibernian Society, an Irish benevolent organization founded in 1801. The Hall is the only extant building associated with the National Democratic Convention of 1860, one of the most critical political assemblies in this nation's history. Hibernian Hall located on Meeting Street in Charleston Sc, in one of the most sought after wedding venues in Charleston Sc.This venue has two floors and the main ballroom is very large. Having you're Wedding reception at Hibernian Hall, is a once in a lifetime affair, this is where I was fortunate to capture the introduction at this wedding reception, friends and family have had just finished the cocktail hour and are anticipating the couple at this wedding in 2014, at the beautiful venue Hibernian Hall, in Charleston Sc. The bride and groom entered the reception and you can clearly see the joy into the reception, I always photograph wedding with 3 cameras and this image was perfect for the wide angle lens, it gives the real feel of how big Hibernian Hall is and how large of the amount of friends and family that attended this wonderful wedding. 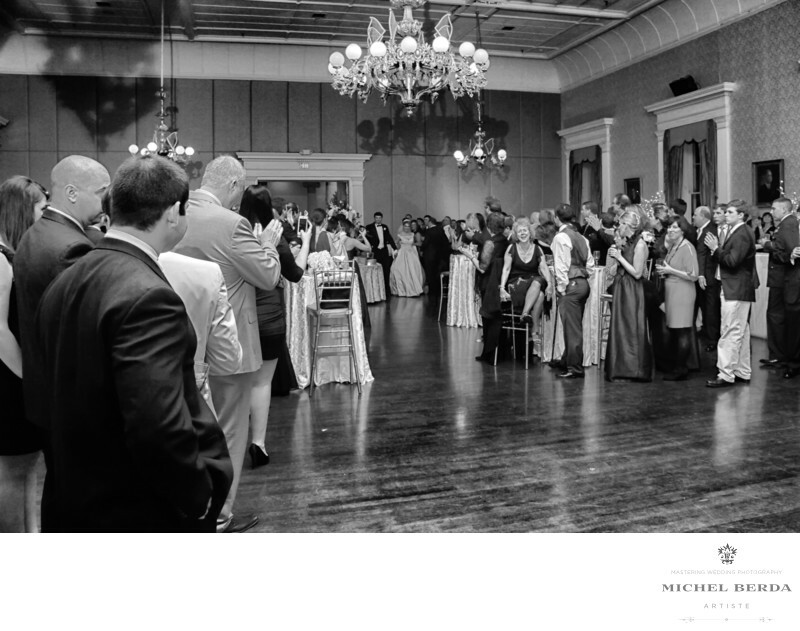 As a wedding photographer here in Charleston, SC, I am always trying to give my clients and different feel for every image that I create.Keywords: Hibernian Hall Charleston (3).